The NFL season is hardly a passing fancy for Matt Duchene and his Colorado teammates. Good-natured ribbing. Playful taunting. Patting oneself on the back. With NFL football back in full swing, several NHL players will be tracking their fantasy football league teams throughout the season, eager to rule the roost on their respective teams. Yes, taking all the spoils when it comes football is a big deal. Right? 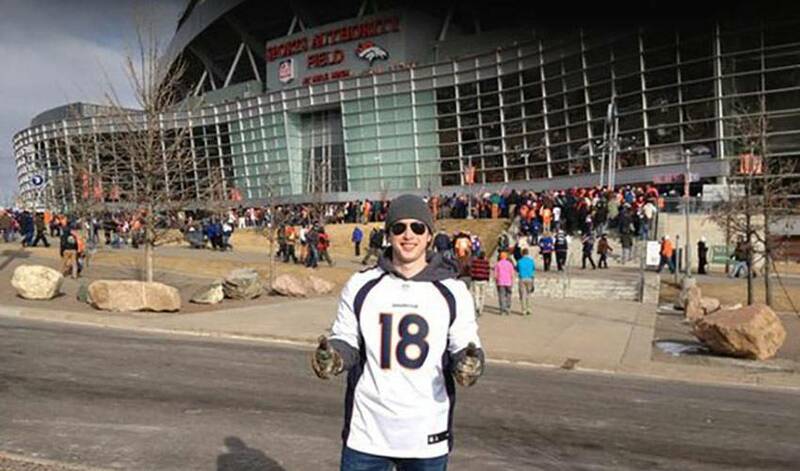 While Duchene never played an organized version of the game during his school days, the 24-year-old is an ardent football fan, having been to several Denver Broncos home games during his time in Colorado. He’s also shared a few photos of himself on his Twitter account (@Matt9Duchene) decked out in Broncos gear. Growing up in Haliburton (about two and a half hours north of Toronto), it was hockey that ruled Duchene’s sporting world. He did, however, play plenty of football with his buddies. With six ice hockey gold medals, including a 2014 Olympic triumph with Team Canada in 2014, Duchene certainly has no reason to lament his sporting choice. Instead, he’s quite happy in his role as football fan, spectator and supporter. If he had decided to choose the gridiron over ice, what position would Duchene have chosen? Manning and Denver began their season with a 19-13 home win over the Baltimore Ravens on September 13. The Broncos followed that up with a wild 31-24 comeback victory over the Kansas City Chiefs on September 17. No word yet, though, on which Avalanche player fired off the first fantasy football chirp. When asked, Duchene, via text, did note he was 1-0 on the season.